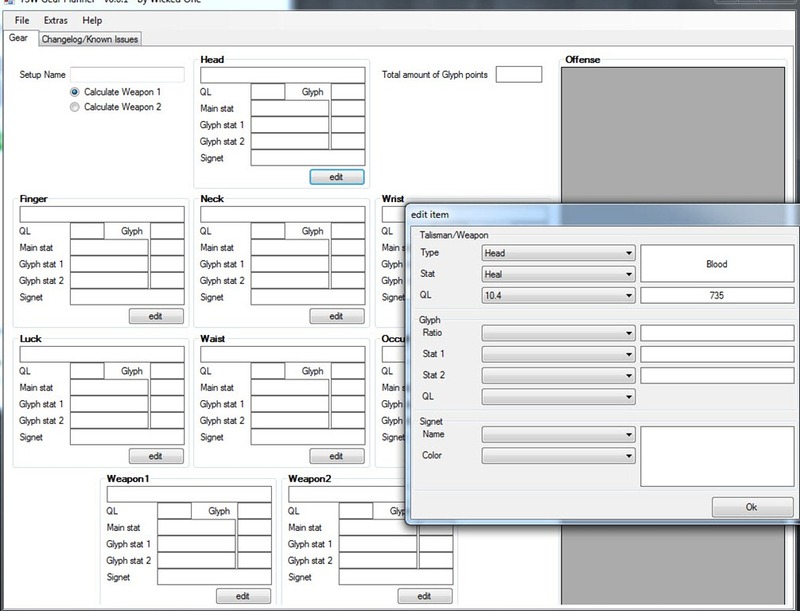 Hey everyone, this is a TSW gear planner developed by Wicked One to plan and edit your gear setup using the available ingame data. 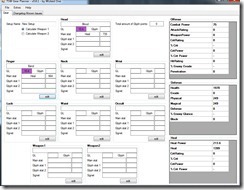 The program is fairly simple to use, you edit each slot and select what gear, what QL and what glyphs you have on them. 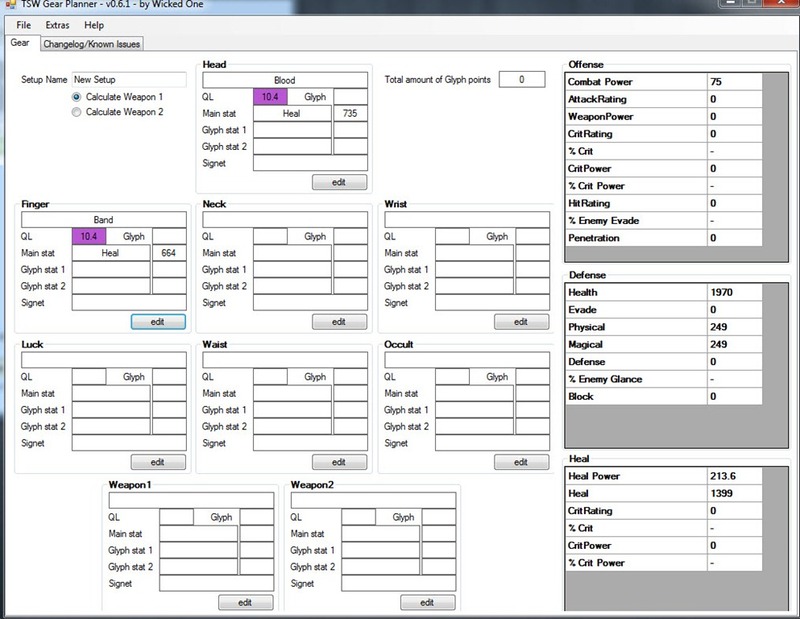 The program then output your stats such as crit rating, crit chance, combat power, health etc. The current version is 0.61 and developed/maintained by Wicked One, which can be reached at gearplanner@gmail.com if you have any suggestions/questions etc. You can download the V0.61 here. 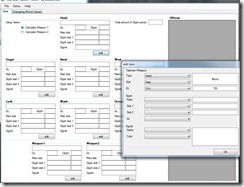 Special thanks to Wicked One for making this program and featuring it here! So I guess that means we only have 1700 points to work with when planning our glyphs? The points available are dependent upon which stats you glyph for. For example, Crit Power has around 2000, while Evade is around 1977. At the moment my gear is shown in this. My epic head has +495 heal rating, the lowest epic in this program has +559 heal rating. Also my fist weapon with 373 weapon power isnt covererd. I’ve dropped an email so hopefully they will get added. If you’re in the transitional phase between wearing drops and custom gear (like I am at the moment), this program won’t be 100% accurate, since it only has the custom gear specs and not the specs of drops, which are more variable. However it’s still fantastic as a directional tool for mapping out how to spend your black bullion and how to glyph your custom items once you start buying them. You should really start with deciding what you want your 10.4 stats to look like, and THEN put in the closest equivalent your current gear, so you can map out a balanced way to buy and upgrade the custom gear. Are you ever going to return doing coverage of TSW?